Rolled Steel Joists – KGF Fabrications Ltd.
Searching for a Universal Steel Beam? See below. Below is our list of stocked Universal Steel Beams. We are London’s biggest steel stockholder of steel beams, columns, plates and angles. We are able to provide Rolled Steel Joists (RSJ) in the size you need and at a time that will suit you. You can always rely on us to design, fabricate, supply and deliver structural steel beams that are suitable to your needs. Rolled Steel Joists (RSJ’s) are also known as Universal Beams (UB), Lintels, Girders, I Beams, H Beams, I Sections, H Sections. We are able to supply standard stock lengths or cut your material to any length you require. Shotblasting and Priming is also available. 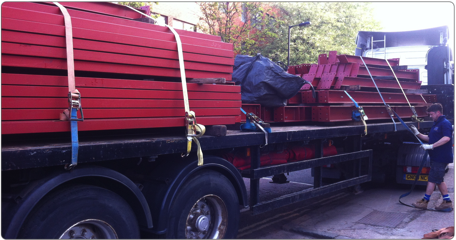 KGF Fabrications Ltd. is the largest supplier of RSJ’s to London and it’s surrounding Boroughs. We can usually supply our steel beams within 24 hours of your order being placed. Below are details of the dimension key for slide number two, showing the diagram of a generic universal beam.